The African Commission of Health and Human Rights Promoters (CAPSDH) disclosed that skin diseases now constitute one of the top five out-patient cases in most hospitals in Ghana. “The humidity, vectors, ignorance, way of life of people and skin bleaching which now starts at an early age have compounded the situation and Ghana is gradually moving towards an epidemic stage,” Dr Edmund N. Delle. Dr Delle, Dermatologist and founder of Rabito Group of Clinics said tampering with the skin, and skin disorders compromised beauty, and led to withdrawal from society. Many people engage in lengthy daily rituals to ensure that they achieve what they consider to be a perfect shade. “Others take even more drastic action. They seem unaware or unafraid of the dangers associated with the sustained use of this practice,” Dr Delle noted. 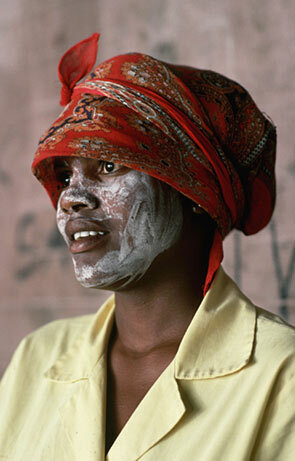 “Bleaching in some parts of Africa is nothing less than a way of life. Women are known to have strict regimes where they take anything up to half an hour in the morning and evening smearing themselves with powerful soaps and creams in an effort to attain their ideal of black beauty,” he said. He said Africa had become the dumping ground for the world’s banned products, mostly goods that were prohibited in Europe years ago. Dr Delle noted that some companies that manufacture exclusively for the African continent produce creams with dangerously high levels of the bleaching agent hydroquinone. People living in rural communities, who are struggling to exist below the poverty line, are also bleaching in earnest and are initiating dangerous techniques to participate in the trend. Unable to afford sophisticated creams and soaps, they create their own home-made preparations, mixing everything from toothpaste, shampoo and milk to household bleach, cement and brake fluid. In short, anything that has a corrosive effect on the skin. Some women had even developed a new procedure involving the smearing of hair relaxer all over the body and wearing up to three layers of clothing, including socks, gloves and long-sleeved tops, to protect themselves from the sun’s penetrating darkening rays.